Corky, former special adviser to Alistair Carmichael and now 'relationship counsellor', tries to reconcile the two warring sides of the Labour party with dubious intentions and bruising results. 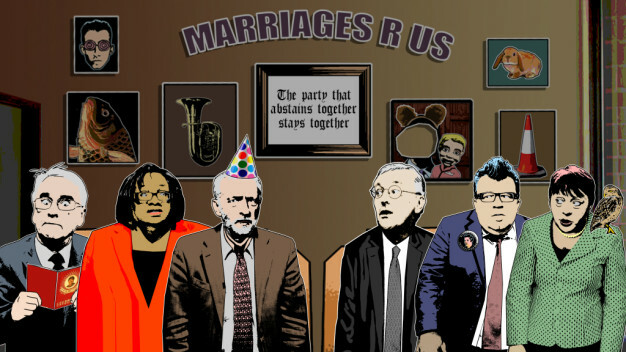 In the red corner: Jeremy Corbyn, Diane Abbot and John McDonnell. In the blue corner: Hilary 'Shirley' Benn, Tom Watson and Maria Eagle.